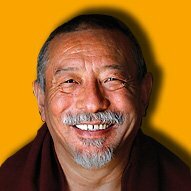 Rinpoche suggests core practices such as mindfulness of breathing meditation and study of the Lamrim, the Stages of the Path to Enlightenment. “Well, for a beginner, that depends on the question. If he or she said, ‘I would like to meditate, how do I meditate?’ I would say we should teach — Lamas or Teachers or senior students or someone who has meditated for a long while — teach that person how to meditate, basic practices like mindfulness of breathing. 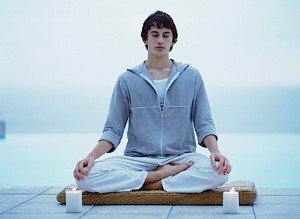 First, you go to a quiet environment, in a house or room, sit on the meditation cushion, if possible, cross your legs, if not, sit on a bench or chair, relax your body, relax your mind, and focus the mind on your breath. Breathing in, out. When you breathe in, imagine your abdomen is rising. When you breathe out your abdomen is falling. Feel your abdomen is rising and falling. Rising and falling when you breathe in and out. So, focus your mind on the breath. Rinpoche advises finding a quiet place, sitting cross legged if possible, and focus on breathing, in and out, in and out, following only the breath in the present moment. Meditate, I would say, for ten minutes, fifteen minutes, not more than twenty minutes. Then, have a little bit of a break. So, that’s how your start, basic meditation, and mindfulness of breathing. The breathing meditation is called Anapranasati. 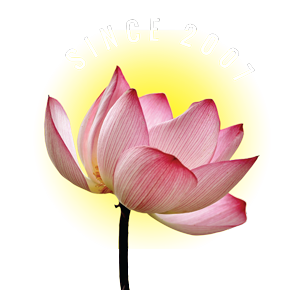 Anaprana is “breathing” and Sati is “mindfulness.” Breathing meditation is very practical, because we are breathing in and out, every day throughout our lives, from when we are born until the last moment of our life. When you do breathing meditation, it relaxes your body. And also, when you do breathing meditation it helps you to be “in the moment.” Here. Now. Because you are with the breath. So, you don’t go to the past, you don’t go to the future, you stay in the here and now. That’s why it’s so beneficial. That’s how you start. Then, you should ask advice from your teacher, or a Dharma friend. They will give you advice, and then move on to the next meditation, which I won’t talk about now, since this is for the beginners, right? Zasep Tulku Rinpoche meditates mindfully by a river in British Columbia, Canada. If somebody said I would like to study Dharma, or study Buddhism, what do I study? This is a big question, because in Buddhism we have so many teachings. 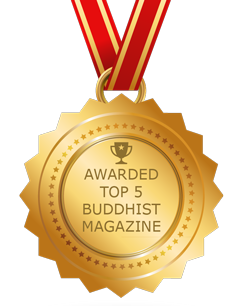 The Buddha gave so many teachings, where do you start? There are so many books now, available in English, other languages. Also, there are lots of audio, video teachings. And you can find out so many things online. Where do you start? My answer, for the beginner — one should study Lamrim. Lam means “path”, Rim means “gradual” — gradual path to Enlightenment. There are a number of Lamrim books translated in English. Lamrim tells you about Dharma. What is Dharma? How to practice Dharma. Why you should practice Dharma. And stage by stage, how you can become Enlightened, and so forth. So, I would say, study Lamrim. This is the advice we should give for the beginner. 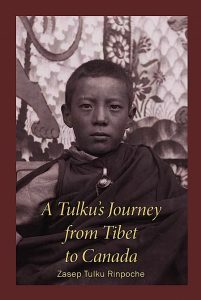 Zasep Rinpoche’s life story is told in his autobiography, A Tulku’s Journey from Tibet to Canada by Zasep Tulku Rinpoche.